Integre Pro Scan™ combines multi-color photocoagulation with a precise computer-controlled pattern scanning laser in an ergonomically advanced all-in-one laser/slit lamp design. A pattern and wavelength for every pathology. Whether positioning focal treatment in the macular area, or performing PRP in the periphery, Integre Pro Scan™ provides a comprehensive pattern and wavelength choice to cover all retinal pathologies. Its proprietary dual-mode laser cavity delivers uniform energy distribution across the full spot diameter, eliminating hotspots and achieving optimal, homogenous burns. It’s a key feature that means you can achieve consistent, predictable treatment outcomes across a broad range of pathologies. With the incorporation of Fluence Assist™, Integre Pro Scan™ automatically calculates the fluence output at the chosen parameter settings. As titrate power, spot size and/or pulse duration, the fluence measurement is recalculated. Not only does this ensure that you are always aware of the amount of energy being delivered to the treatment site, but it is also helpful in the context of subthreshold treatment. * Not available all regions. Please contact Ellex for more information. Choose Integre Pro Scan™ and you’ll not only benefit from state-of-the-art technology, you’ll also enjoy using a highly intuitive tablet and all-in-one laser/slit lamp interface that’s been designed exactly with your needs in mind — and that will enable you to treat patients up to twice as quickly than is possible with conventional single-spot photocoagulation. Integre Pro Scan’s user-friendly touchscreen interface means you can adjust all treatment parameters, including laser power, pulse duration, pattern selection and pattern size quickly and easily. An intuitive track pad enables easy navigation of the retina and adjustment of treatment settings and pattern characteristics. 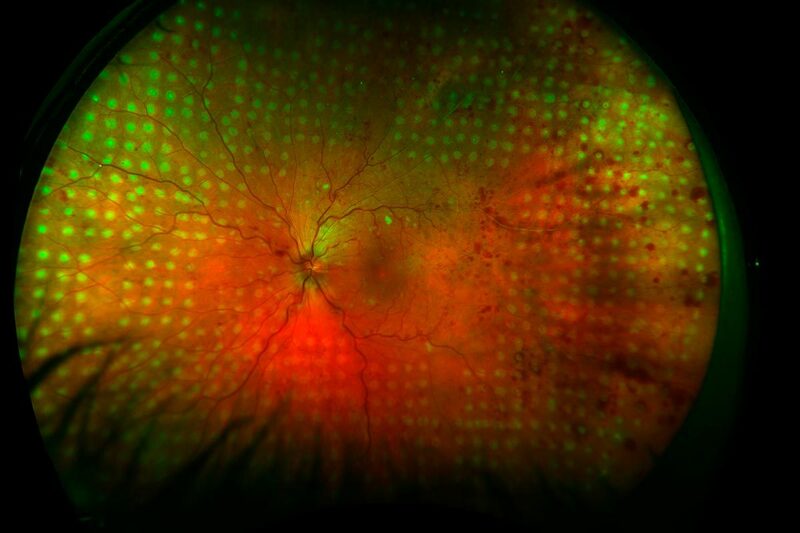 Integre Pro Scan™ has a CE Mark (Conformité Européenne) and US Food and Drug Administration (FDA) (510k) Market release for the indications of Retinal Photocoagulation, Laser Trabeculoplasty and Laser Iridotomy.